I have to admit that while Zanzibar, Botswana is lovely and exceptionally quiet, it was nothing like the other Zanzibar. Part of the Oasis Lodge is located exactly before the border post. My room was the second last before the lake and afforded a great view of the border post and South Africa beyond. 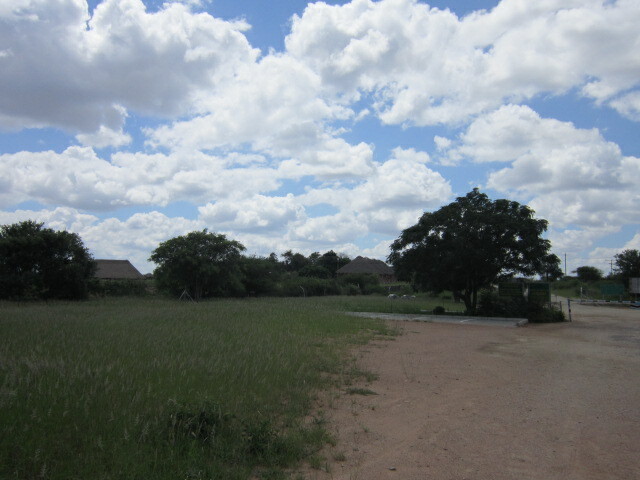 During one of our lunch breaks – we ate quickly so we could walk to the border post and see if we could cross. 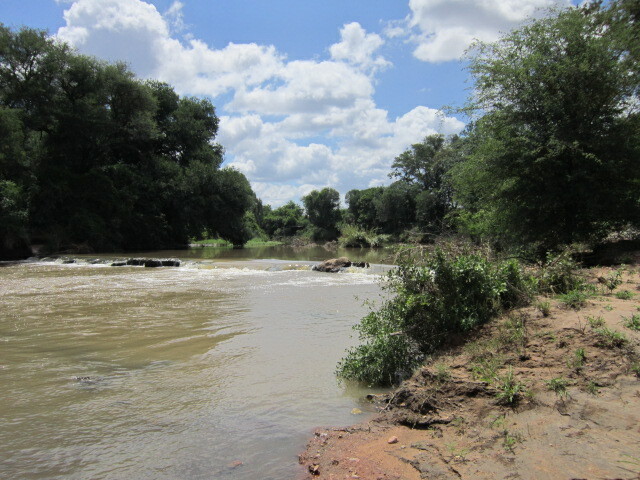 We were in luck, the River Limpopo had subsided just enough that we were allowed to have a peek at it if we were careful not to get to close. 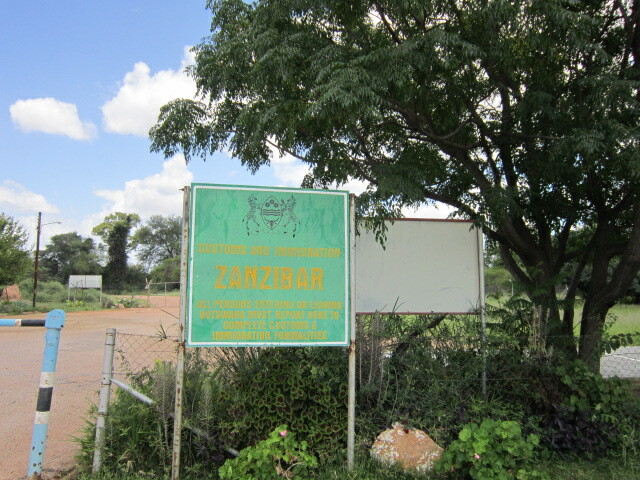 After passing through the border office and gate, we entered into no man’s land before actually arriving in South Africa. The closest roof top that you can see is my room. 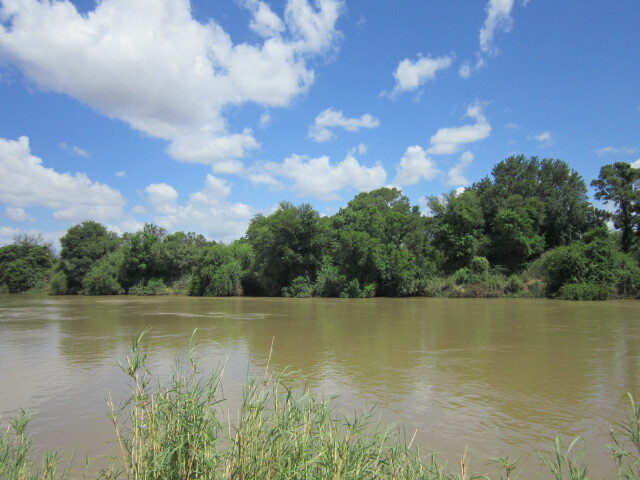 After a five minute walk spent trying to identify the game footprints in the soft sand and mud you came to the edge of the Limpopo River. You can see how swollen and muddy the river still is from the torrential rains and flooding two weeks ago. 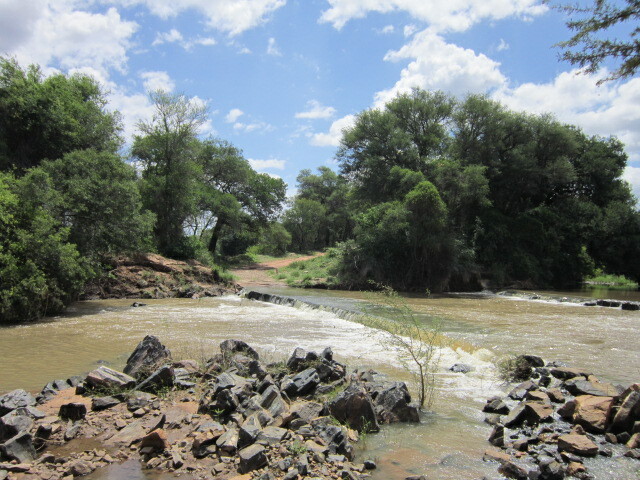 As you can see below, the river had made crossing over to South Africa impossible unless you wanted to get friendly with the crocodiles. Some not so friendly crocodiles did poke their heads up at us when we got too close to the water’s edge. Glad that I wore my sneakers so that I could run!